Get a 90-page presentation deck with the best mutual funds to invest in 2018 - just follow this link. Are you looking for the best mutual funds to invest in 2018? Best performing mutual funds, best Vanguard mutual funds, and best Fidelity mutual funds? If so, you’re at the right place. In this Finstead Insights post, we’ll provide some good choices for investing in mutual funds. Our analysis was refreshed for 2018, and here you’ll find some good ideas for investing in U.S. and International Equity, Fixed Income (Taxable and Tax Exempt), and Specialty (Technology and Healthcare) mutual funds. But it’s important to agree on the definition of best mutual funds. 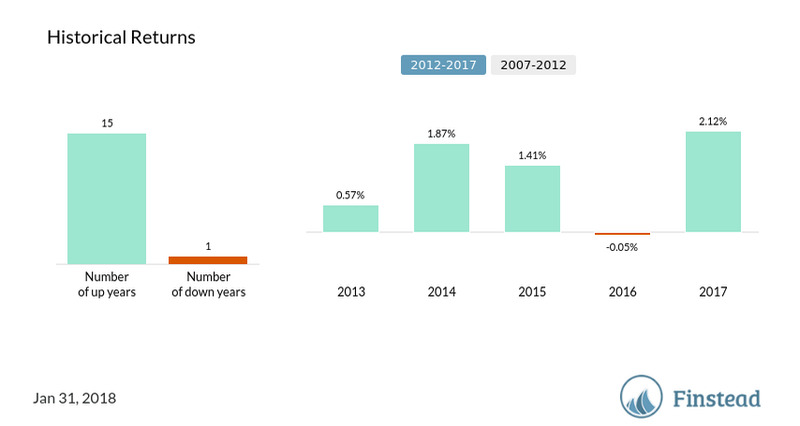 For us, those are the funds that are popular among investors, demonstrated by assets under management north of $1 Billion, have above-average returns (in their respective categories), have no sales loads or 12b-1 fees (so you are not paying sales commissions or marketing expenses), and have low expense ratios, typically below 1%. Below is an example of a fund that we typically shy away from—a fund with a 12b-1 fee and/or a sales load. While the 1% expense ratio limit may be high in general, and particularly high for passive funds, our point of view is that it may be acceptable for actively managed funds that have demonstrated outstanding risk-adjusted performance. 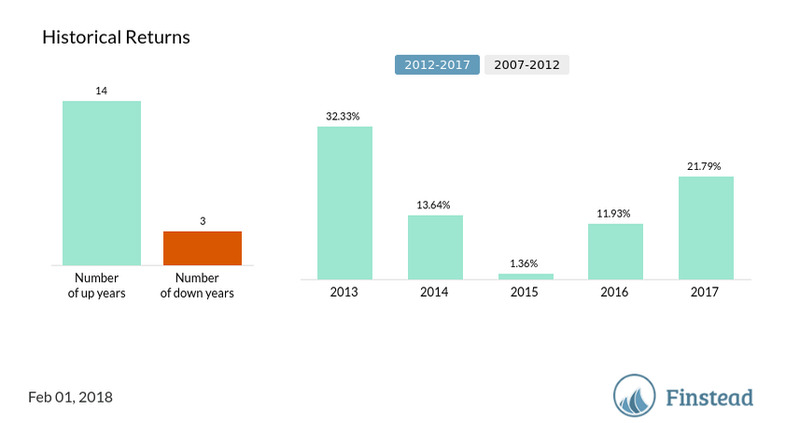 Since we’re not associated with any fund issuers, our perspective is relatively unbiased compared to what you may find elsewhere in the press. If you’re a firm believer in index funds, feel free to skip all of our choices covering active funds. If you’re concerned that you may not see as much return from index investing in the next few years, now that most of the indexes are at all-time highs, take a look at our choice of actively managed funds. First, we are going to look into funds with the highest net assets (go to Finbot and type “sort mutual funds by assets; include expense ratio, Segment, Fund Family, 5-year return and 12b1”). 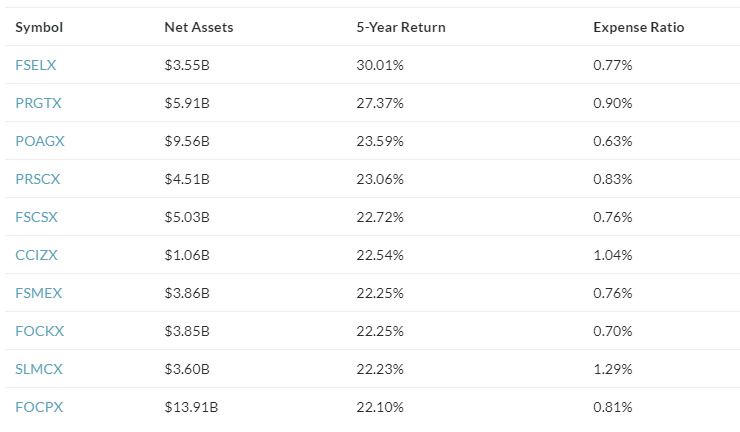 Below is the view of the most popular mutual fund choices (by assets). 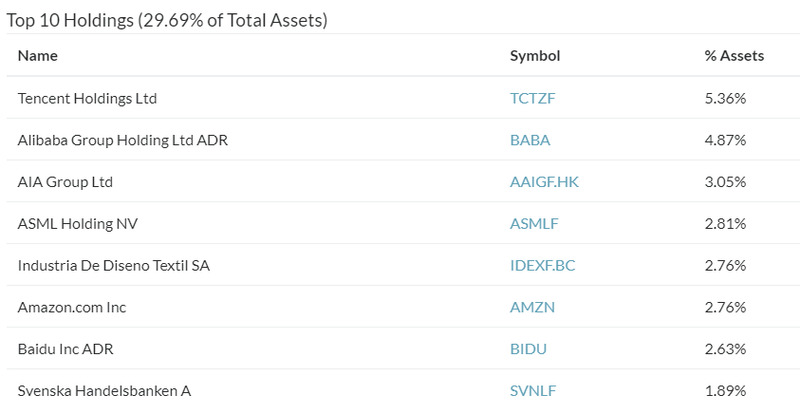 Vanguard 500 Index Admiral (VFIAX) is the most popular fund by assets. It tracks the performance of the S&P 500 benchmark index. 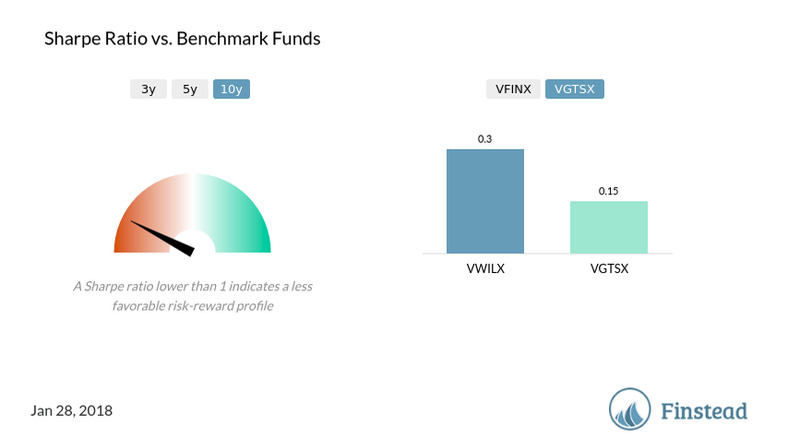 VFIAX invests all of its assets in the stocks that make up S&P 500 with the same approximate weightings as the Index (this is a passive fund). VFIAX expense ratio is 0.04%, and its minimum investment requirement is $10K. 5-year annualized return is 15.14%. Vanguard 500 Index Investor (VFINX) is very similar to VFIAX (see mutual fund #1)—it tracks S&P 500 as well. The main difference is, VFINX requires a minimum $3K investment, and its expense ratio is 0.14%. 5-year annualized return is 15.01%. We’re continuing with the same family. 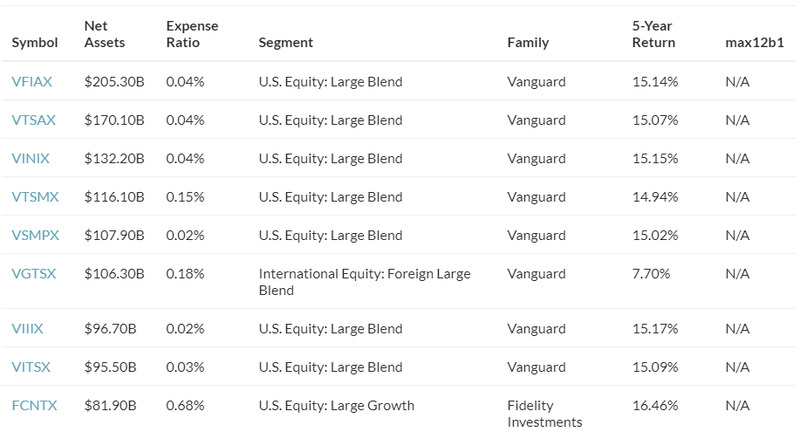 Vanguard Institutional Index Fund Institutional Shares (VINIX) also tracks S&P 500, but its minimum investment requirement is $5.0 Million, and its expense ratio is 0.035%. You may have access to VINIX even if you don’t satisfy the minimum investment requirement—check out with your advisor or 401K plan administrator. The benefit of using VINIX over VFINX and VFIAX is a lower expense ratio. There is also an Institutional Plus version of the fund (VIIIX), which expense ratio is 0.02% and its minimum investment requirement is $100.0 Million. 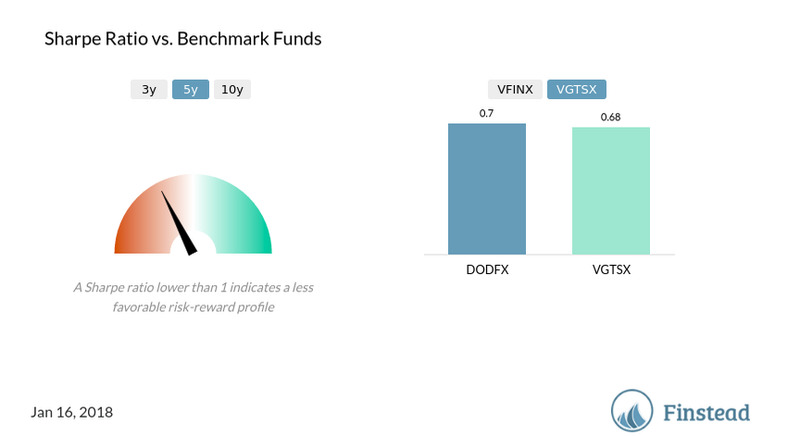 Vanguard Total Stock Market Index Fund Admiral Shares (VTSAX) tracks the performance of a benchmark index that measures the investment return of the overall stock market. VTSAX employs a "passive management" approach designed to track the performance of the CRSP US Total Market Index. 5-year annualized return is 15.60%. VTSAX expense ratio is 0.04%, and its minimum requirement investment is $10K. 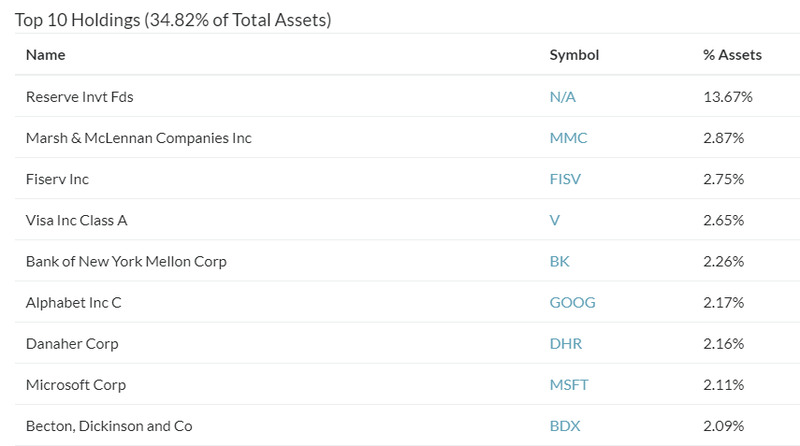 Unlike VFIAX/VFINX which cover roughly top 500 US stocks by market cap, VTSAX number of holdings is over 3,500. Vanguard Total Stock Market Index Fund Investor Shares (VTSMX) also employs a "passive management" approach designed to track the performance of the CRSP US Total Market Index, just like VTSAX. The key difference is, VTSMX minimum investment requirement is $3K (vs. $10 for VTSAX), and its expense ratio is 0.15%. 5-year annualized return is 15.47%. Vanguard Total Stock Market Index Fund Institutional Plus Shares (VSMPX) also tracks CRSP US Total Market Index, just like VTSMX and VTSAX. There are to versions of the fund: institutional, with the minimum investment requirement of $5.0 Million and the expense ratio of 0.035%. The Institutional Plus version has the minimum investment requirement of $100.0 Million and the expense ratio of 0.02%. You may have access to VSMPX even if you don’t satisfy the minimum investment requirement—check out with your advisor or 401K plan administrator. The benefit of using VSMPX over VTSMX and VTSAX is a lower expense ratio. Vanguard Total International Stock Index Fund Investor Shares (VGTSX) tracks the performance of the FTSE Global All Cap ex US Index, a free-float-adjusted market capitalization weighted index designed to measure equity market performance of companies located in developed and emerging markets, excluding the United States. VGTSX expense ratio is 0.18%, and its minimum investment requirement is $10K. 5-year annualized return is 7.48%. Vanguard Total International Stock Index Fund Admiral Shares (VTIAX) tracks the performance of the FTSE Global All Cap ex US Index. It’s an Admirals version of the VGTSX fund. VTIAX minimum initial investment is $10K. VTIAX expense ratio is 0.11%. Fidelity® Contrafund® Fund (FCNTX) seeks capital appreciation. This is an active fund. The Fund invests in securities of companies that are undervalued, according to the Fund managers. The Fund normally invests primarily in common stocks and may invest in both domestic and foreign issuers. FCNTX minimum initial investment is $2,500, while its expense ratio is 0.68%. FCNTX number of holdings is 307. 5-year annualized return is 16.39%. Below is the comparison between FCNTX and VFIAX (visit Finbot and type “FCNTX vs. VFIAX”). 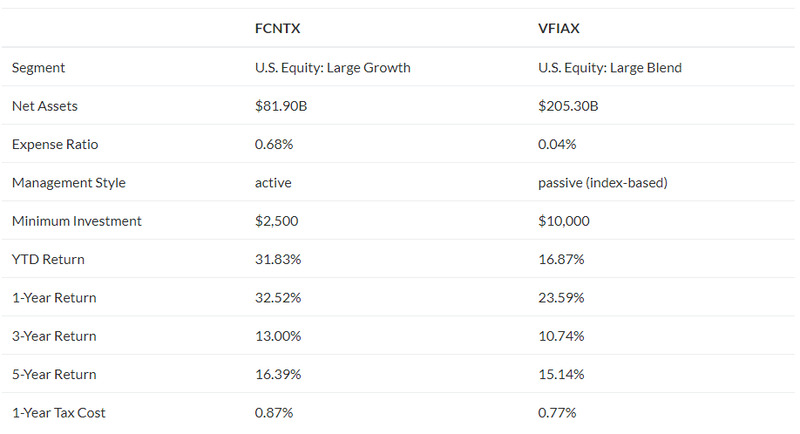 As you can see, FCNTX is significantly more expensive (its expense ratio is 0.68%) than VFIAX, but historically it generated higher returns. Below is the Sharpe ratio for FCNTX vs. an S&P 500 index fund. 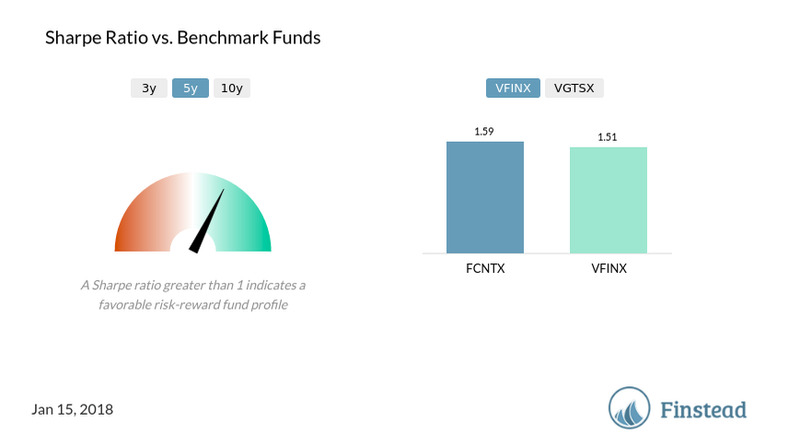 Over the last 5 years, FCNTX generated a slightly higher risk-adjusted return compared to VFINX. 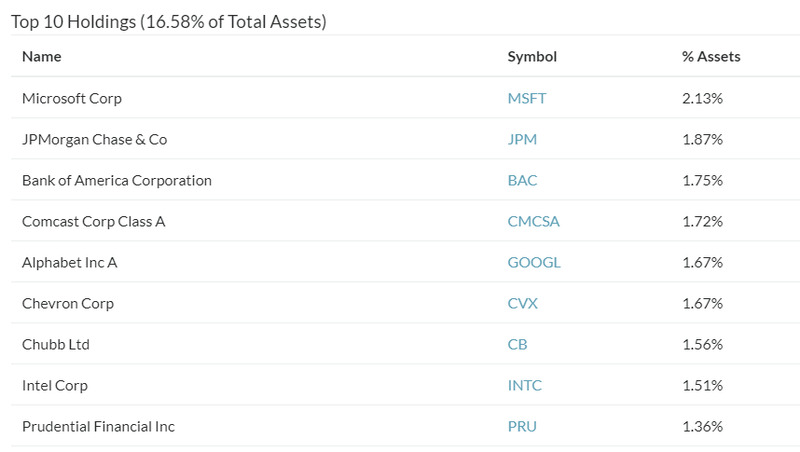 Here are the top stocks that FCNTX invests in (visit Finbot and type “FCNTX holdings”). As you look at the most popular mutual fund choices by assets, you will notice that the U.S. (domestic) equity funds are over-represented. 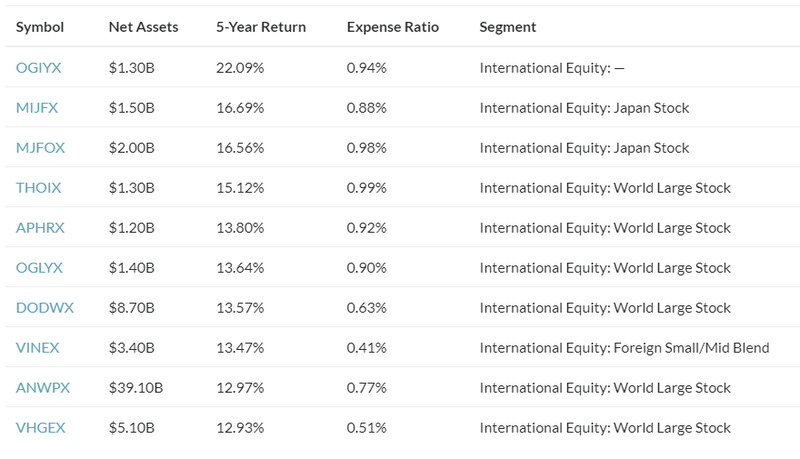 It’s apparent that there are very few international (ex-U.S.) and virtually no fixed income funds in the top 10 list (by assets), so we’re going to cover those next. Let’s start with international. We’re started with a list of top international funds by assets. 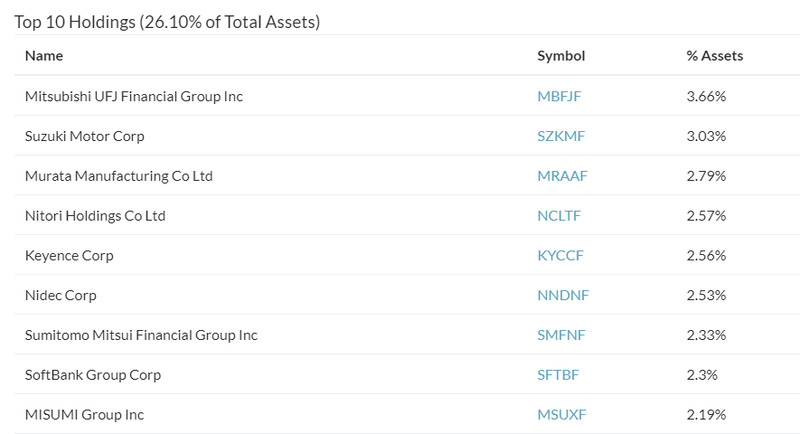 To get the list of top international funds by assets, please visit Finbot and type “Sort mutual funds by assets; if category is ex-U.S. equity; include expense ratio, 5-year return, 12b1”. We’ll skip those funds that have: 1. Expense ratio above 1%; 2. Have marketing / distribution fees (demonstrated by 12b-1); and 3. Have a mix of domestic and international stocks in their portfolios. In other words, we’ll focus first on those funds with low and moderate fees, which are exclusively ex-U.S.
Vanguard Total International Stock Index Fund Institutional Plus Shares (VTPSX) tracks the performance of the FTSE Global All Cap ex US Index, a market cap weighted index designed to measure the performance of companies located in developed and emerging markets, excluding the United States. This is a sister fund to VGTSX; however, its minimum initial investment is $100,000,000. VTPSX expense ratio is 0.07%, and the number of holdings is 5,922. You may have access to VTPSX via your investment advisor / 401K plan administrator. 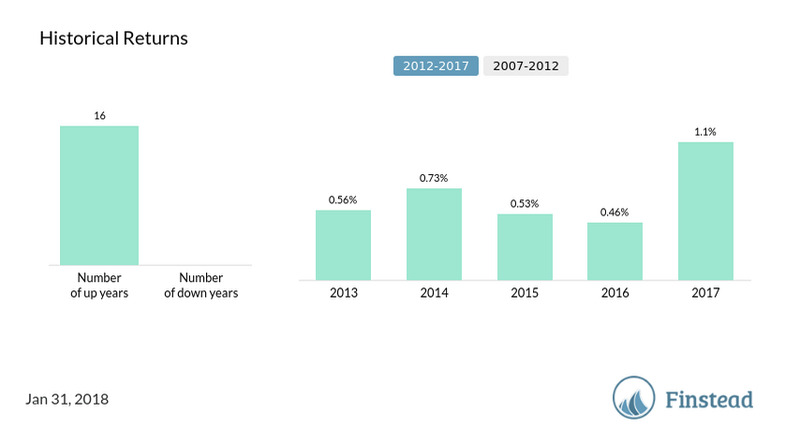 5-year annualized return is 7.60%. 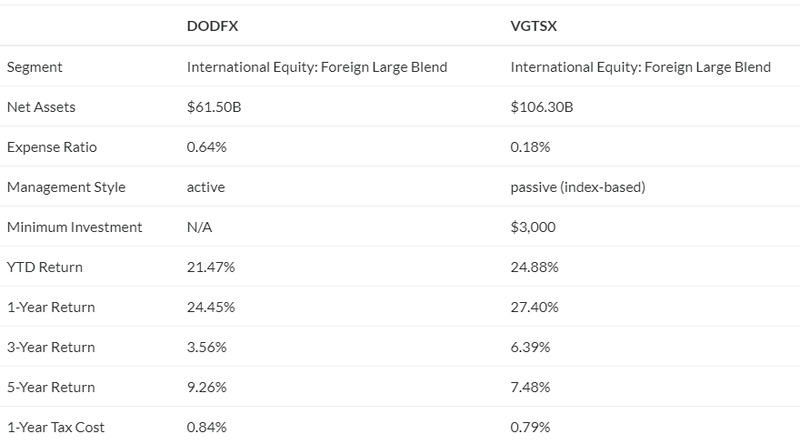 Vanguard Total International Stock Index Fund Admiral Shares (VTIAX) tracks the performance of the FTSE Global All Cap ex US Index, just like VGTSX and VTPSX. This is an Admirals share version of the fund, with the minimum initial investment of $10K; higher than that of VGTSX ($3K), but way lower than that of VTPSX. Dodge & Cox International Stock Fund (DODFX) seeks long-term growth of principal and income by investing primarily in a diversified portfolio of equities issued by non-U.S. companies from at least three different foreign countries, including emerging markets. DODFX is an active fund. 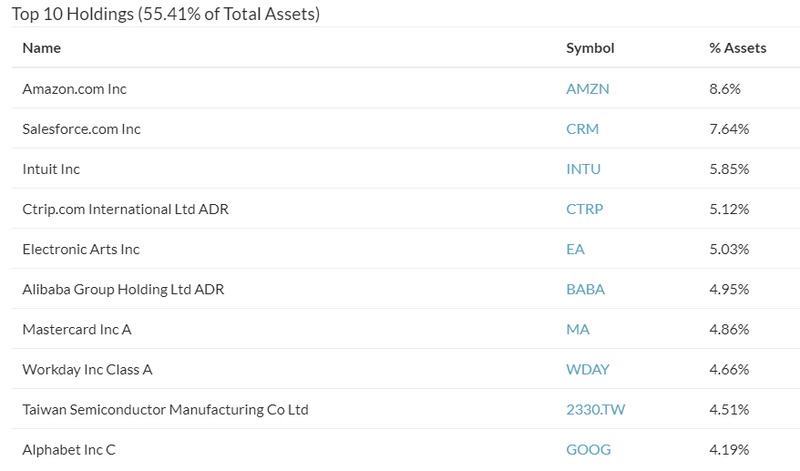 Its number of holdings is 73, which are represented below. 5-year annualized return is 9.26%. DODFX expense ratio is 0.64%. While we normally wouldn’t recommend funds that are as expensive as this one, DODFX historical performance, adjusted for expenses and risk, has been on par with, or better than the index international mutual funds (such as VGTSX). 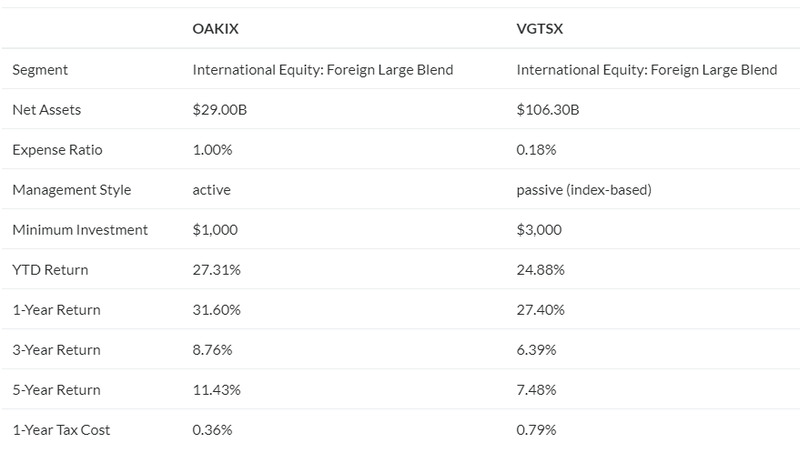 Oakmark International Fund Investor Class (OAKIX) invests in a diversified portfolio of international securities which are priced below their ‘long-term value’. There are no geographic limits on the Fund's non-U.S. investments. OAKIX number of holdings is 60. 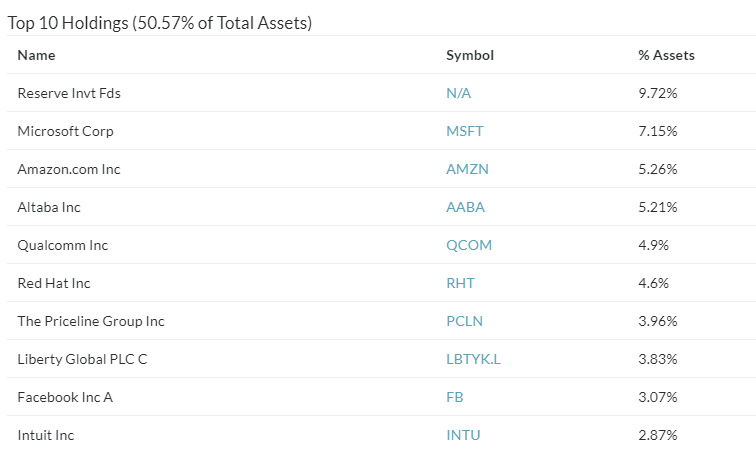 Here are the top 10 holdings. 5-year annualized return is 11.43%. Its expense ratio is 1%, which on the high side, but it’s justified by a superior risk-adjusted return. See below a comparison between OAKIX and VGTSX Sharpe ratio. See the full comparison between OAKIX and VGTSX below. Vanguard International Growth Fund Admiral Shares (VWILX)invests in major equity markets outside the United States. The fund’s managers employ fundamental research to construct portfolios of growth stocks in developed and emerging markets. This is an active fund. The fund managers use fundamental research to identify high-quality companies with above-average growth potential in countries around the world. There are two managers overseeing independent subportfolios—which increases diversification. VWILX minimum initial investment is $50,000, while its expense ratio is 0.32%. 5-year annualized return is 11.02%. Like with any active fund, we’d like to make sure we’re recommending a fund that has better risk-adjusted performance relative to an index fund (VGTSX in this case). Below the Sharpe ratio of VWILX relative to VGTSX (a comparable index fund). 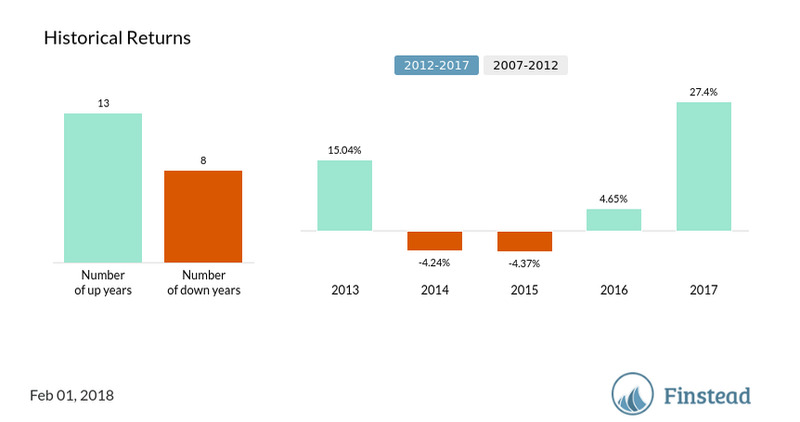 Next, we are going to highlight some of the international funds that generated superior returns over the last 10 years. Our choice does not guarantee future fund performance but is rather a collection of ideas/themes that may be worth pursuing. 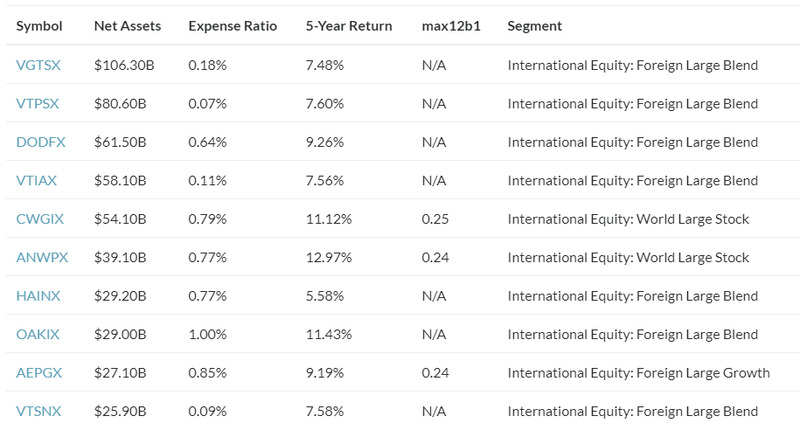 We sorted out all international mutual funds by 5-year annualized return, while limiting the expense ratio to 1% and setting minimum assets under management to $1B (simply visit Finbot and type “sort mutual funds by 5-year return; if assets is greater than 1B, expense ratio is less than 1%, category is ex-U.S. equity; include expense ratio, assets”). So here are some additional ideas for international funds. Matthews Japan Fund Investor Class (MJFOX) seeks long-term capital appreciation through investment in the stocks of Japanese companies. 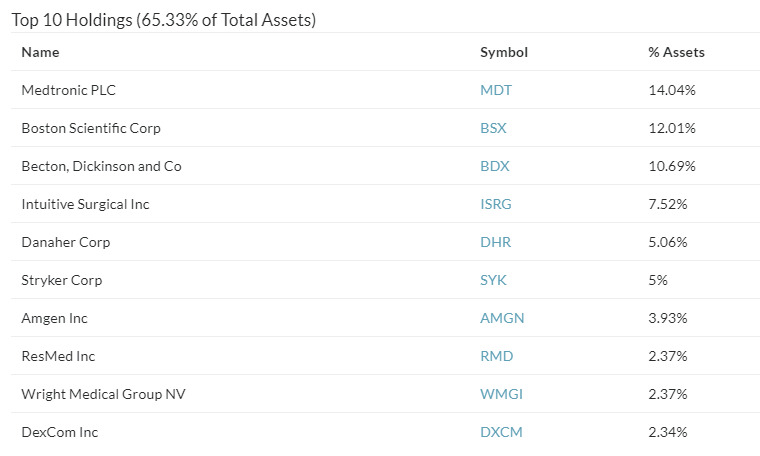 MJFOX number of holdings is 62, and its top holdings are represented below. The minimum initial investment in the Fund is $2,500. 5-year annualized return is 16.56%. You should take a further look into this fund if you’re looking to gain exposure to the Japanese market. Vanguard International Explorer Fund Investor Shares (VINEX) seeks long-term capital appreciation by investing primarily in the equity securities of smaller international companies (which generally have market capitalizations of $2.5 billion or less at the time of investment). VINEX is an active fund with the expense ratio is 0.41% and a minimum initial investment of $3,000. 5-year annualized return is 13.47%. VINEX Sharpe ratio exceeds that of index funds, which implies VINEX generated a better risk-adjusted return than the index international funds. See a comparison chart below. Next, we’ll take a look at high-performing funds to see which sectors (and funds) have outperformed the average. Those could be good ideas to invest in if you’re looking to gain exposure to high-growth industries. Just be careful—past performance doesn’t guarantee future. 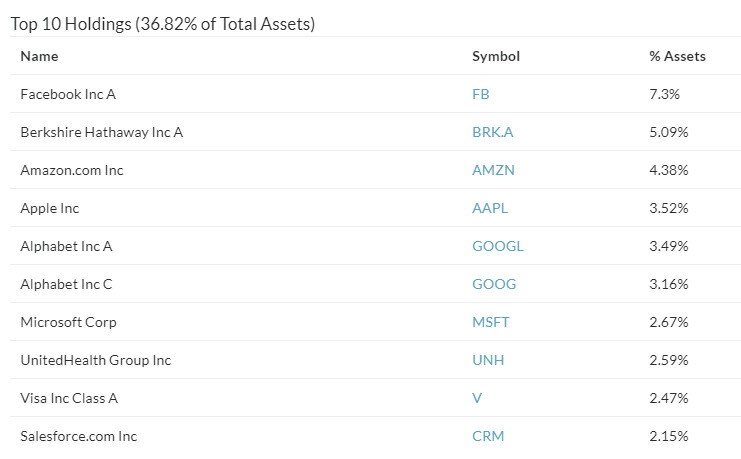 Let’s visit Finbot and type “sort mutual funds by 5-year return; if assets is greater than 1B; list expense ratio”. Fidelity Select Semiconductors Portfolio (FSELX) invests primarily in companies engaged in the design, manufacture, or sale of electronic components (semiconductors, connectors, printed circuit boards and other components); equipment vendors, component distributors and vendors of instruments and electronic systems. This is an active fund. 5-year annualized return is 30.01%. FSELX expense ratio is 0.77%, while its minimum initial investment is $2,500. 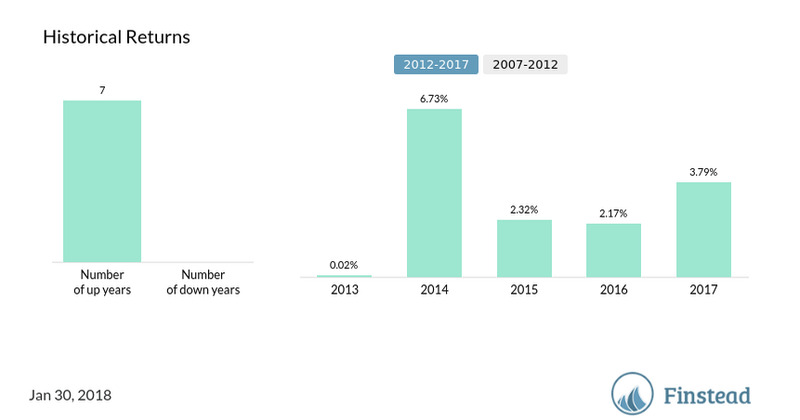 T. Rowe Price Global Technology Fund (PRGTX) provides long-term capital growth by investing at least 65% of total assets in the common stocks of technology companies around the world. This is an active fund. 5-year annualized return is 27.37%. PRGTX expense ratio is 0.9%. Its minimum initial investment is $2,500. 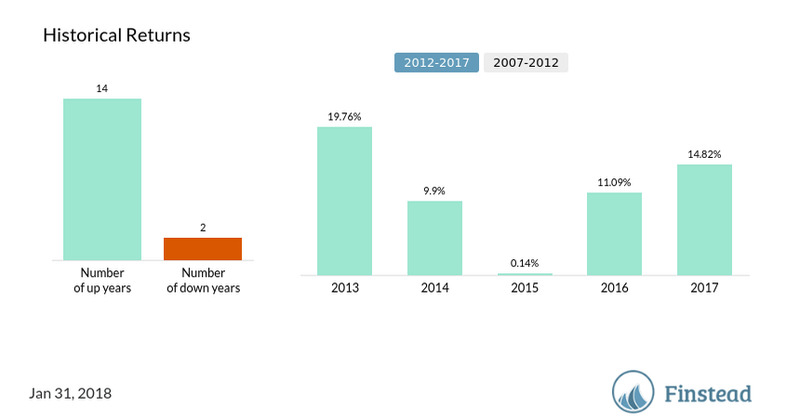 T. Rowe Price Science and Technology Fund (PRSCX) seeks long-term capital appreciation by investing at least 80% of net assets in the common stocks of technology companies. This is an active fund. 5-year annualized return is 23.06%. PRSCX expense ratio is 0.83%. PRSCX minimum initial investment is $2,500. Fidelity Select Software and IT Services Portfolio (FSCSX) invests at least 80% of the assets in securities of companies engaged in software or information-based services.This is an active fund. FSCSX expense ratio is 0.76%. The minimum investment requirement is $2,500. 5-year annualized return is 22.72%. Fidelity Select Medical Technology and Devices Portfolio (FSMEX) normally invests at least 80% of the assets in securities of companies principally engaged in medical equipment and devices. This is an active fund. 5-year annualized return is 22.25%. FSMEX expense ratio is 0.76%. Its minimum investment requirement is $2,500. Fidelity Select IT Services Portfolio (FBSOX) invests at least 80% of assets in securities of companies principally engaged in providing information technology services. The fund invests in domestic and foreign issuers and uses fundamental analysis of factors such as each issuer's financial condition and industry position, as well as market and economic conditions, to select investments. The fund’s management style is active. 5-year annualized return is 21.18%. FBSOX expense ratio 0.79%, and the minimum investment requirement is $2,500. Fidelity Select Technology Portfolio Report (FSPTX) invests at least 80% of assets in securities of technology companies. The fund invests in domestic and foreign issuers. It uses fundamental analysis of factors such as each issuer's financial condition and industry position, as well as market and economic conditions, to select investments. The fund is active. 5-year annualized return is 21.71%. FSPTX minimum initial investment is $2,500. FSPTX expense ratio is 0.77%. USAA NASDAQ-100 Index Fund (USNQX) investment seeks to match, before fees and expenses, the performance of the stocks composing the Nasdaq-100 Index. The fund's principal investment strategy is, under normal market conditions, to invest at least 80% of the fund's assets in the common stocks of companies composing the Nasdaq-100 Index. The Nasdaq-100 Index represents 100 of the largest nonfinancial stocks traded on the Nasdaq Stock Exchange. USNQX management style is passive. Its expense ratio is 0.53%, while the minimum investment requirement is $3,000. 5-year annualized return is 19.72%. 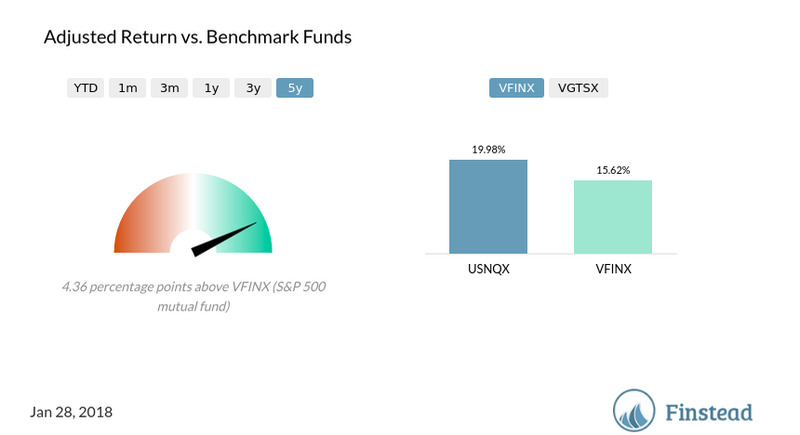 The chart below shows its performance vs. an S&P Fund, VFINX. Fidelity Select Biotechnology Portfolio (FBIOX) invests at least 80% of assets in securities of biotechnology companies. The fund invests in domestic and foreign issuers. It uses fundamental analysis of factors such as each issuer's financial condition and industry position, as well as market and economic conditions to select investments. FBIOX expense ratio 0.75%, while the minimum investment requirement is $2,500. 5-year annualized return is 19.40%. 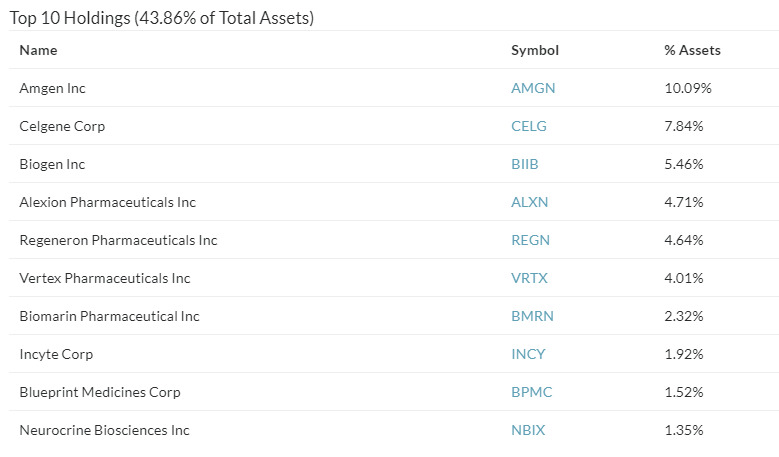 FBIOX top 10 holdings are listed below. 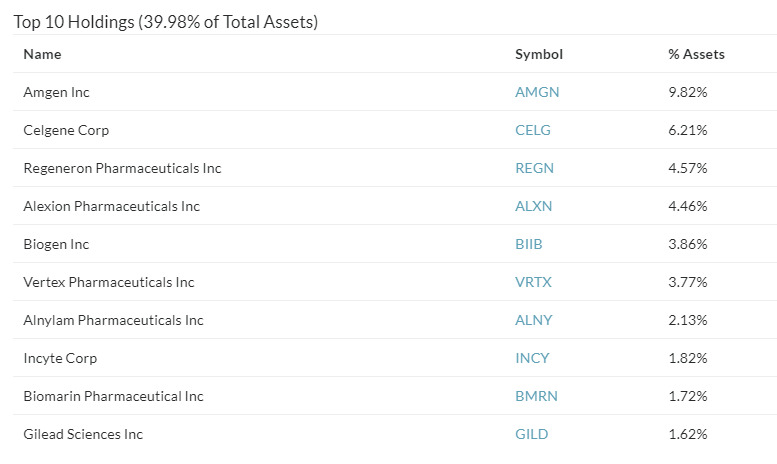 T. Rowe Price Health Sciences Fund (PRHSX) invests at least 80% of its net assets (including any borrowings for investment purposes) in the common stocks of health sciences companies (health care, medicine, or the life sciences). 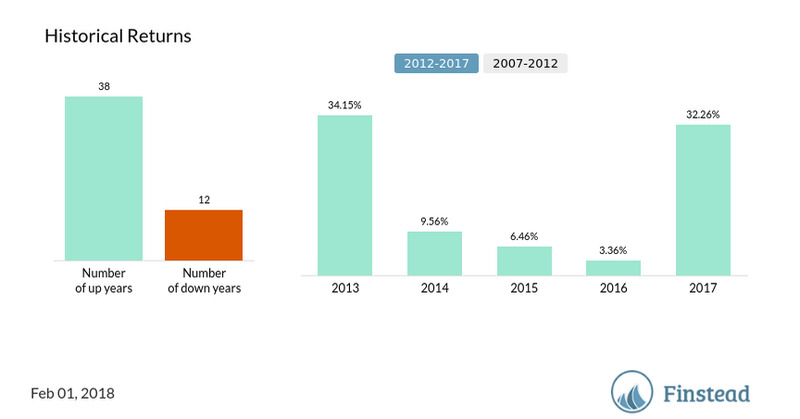 While the fund can invest in companies of any size, the majority of fund assets are expected to be invested in large- and mid-capitalization companies. This is an active fund. PRHSX expense ratio 0.77%, while the minimum investment requirement is $2,500. 5-year annualized return is 21.22%. 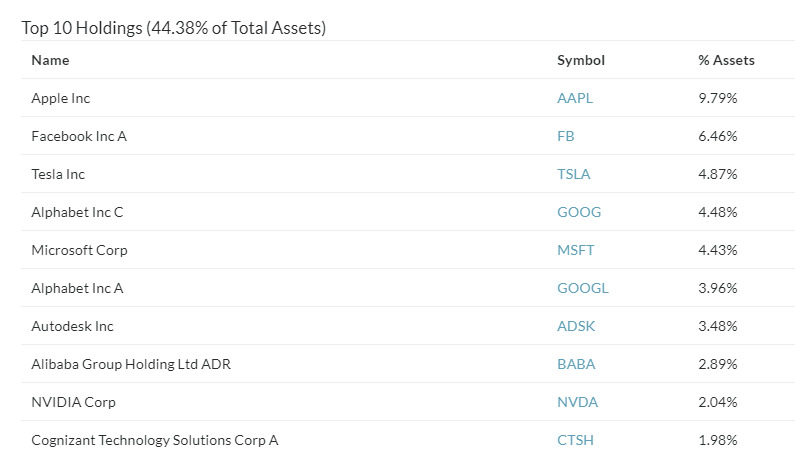 The top 10 holdings are listed below. 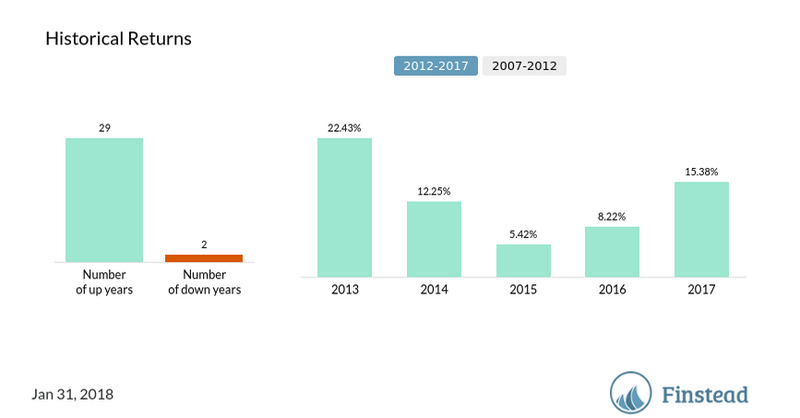 Fidelity Advisor Biotechnology Fund I Class (FBTIX) invests at least 80% of assets in securities of biotechnology companies. The fund invests in domestic and foreign issuers. It uses fundamental analysis of factors such as each issuer's financial condition and industry position, as well as market and economic conditions, to select investments. 5-year annualized return is 18.33%. FBTIX minimum initial investment is $2,500, and its expense ratio is 0.78%. 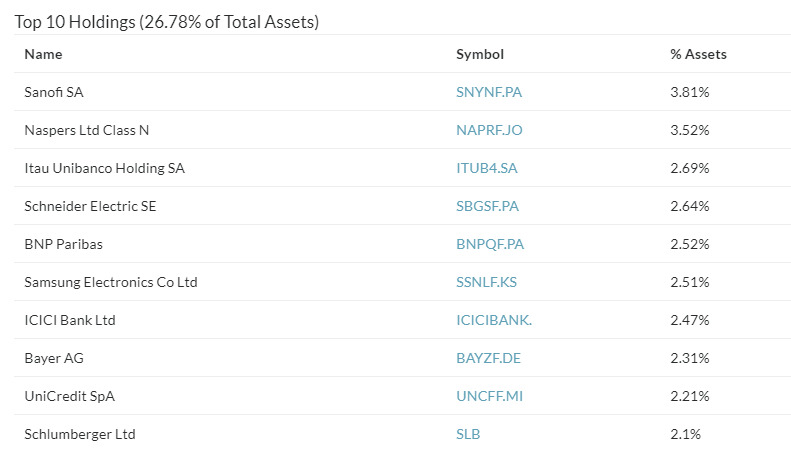 The top 10 holdings of the fund are listed below. Fidelity Select Medical Technology and Devices Portfolio (FSMEX) invests at least 80% of assets in securities of medical equipment and devices companies. The fund invests in domestic and foreign issuers. It uses fundamental analysis of factors such as each issuer's financial condition and industry position, as well as market and economic conditions to select investments. FSMEX expense ratio is 0.76%, while its minimum initial investment requirement is $2,500. 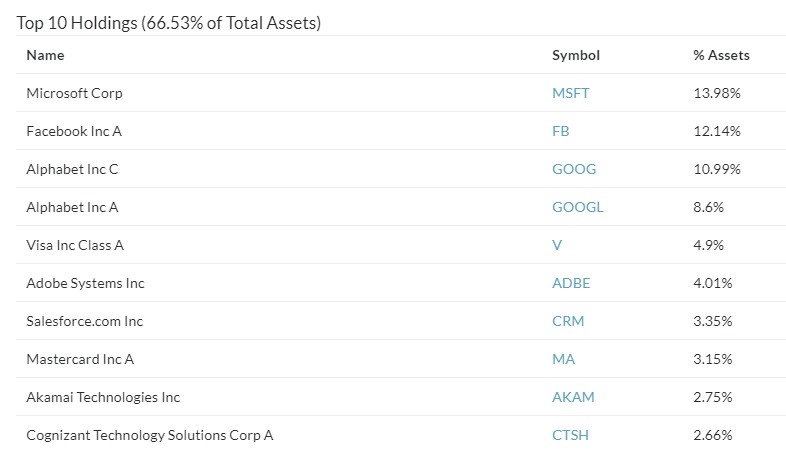 As you can see the most dominant themes among high performing sector funds are high tech, biotech and medical devices. 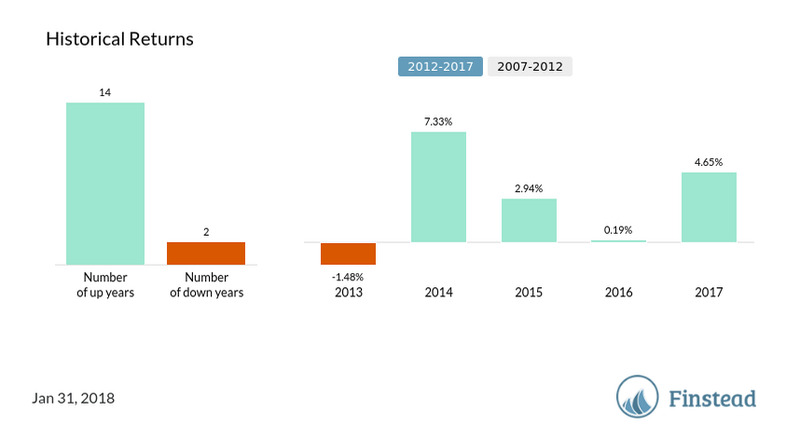 Those are the industries that saw disproportionate growth over the last 10-15 years. Now let’s take a look at bond mutual funds. We’re going to start with taxable fixed income funds first. Vanguard Total Bond Market Index Fund Admiral Shares (VBTLX) tracks Bloomberg Barclays U.S. Aggregate Float Adjusted Index, which reflects a wide spectrum of public, investment-grade, taxable, fixed income securities in the United States. That includes government, corporate, and international dollar-denominated bonds, as well as mortgage-backed and asset-backed securities, all with maturities of more than 1 year. This is a broad-base fixed income ETF, passive by management style. VBTLX expense ratio is 0.05%, while VBTLX minimum initial investment is $10,000 (typical of Vanguard Admiral Shares funds). 5-year annualized return is 1.89%. Below is the chart showing VBTLX historical performance. 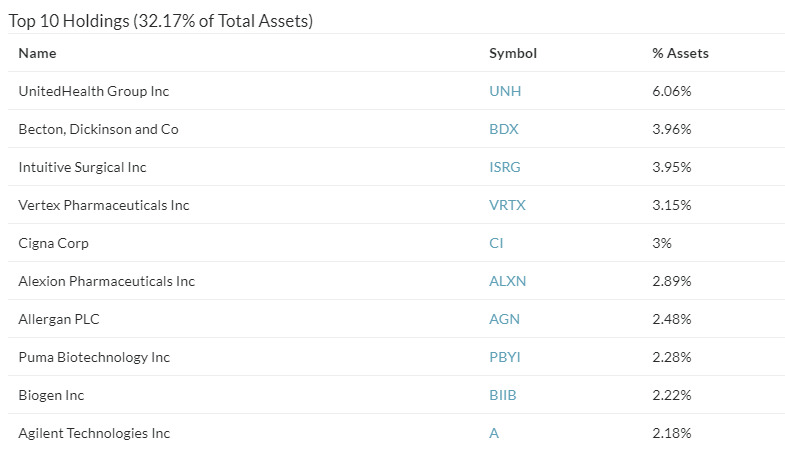 The top holdings of this fund is the US Treasury Note 2.125%. Vanguard Total Bond Market II Index Fund Investor Shares (VTBIX) tracks the performance of the Barclays Capital U.S. Aggregate Bond Index, and will maintain a dollar-weighted average maturity consistent with that of the index. The Index measures investment-grade, taxable fixed income securities in the U.S.
VTBIX expense ratio 0.09%, while its minimum initial investment requirement is $0. 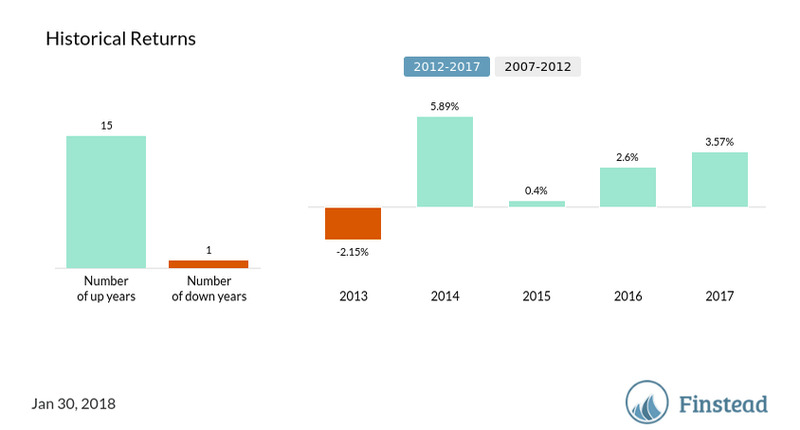 5-year annualized return is 1.97%. PIMCO Total Return Fund Institutional Class (PTTRX) invests at least 65% of its total assets in a diversified portfolio of fixed income instruments of varying maturities, which may be represented by forwards or derivatives such as options, futures contracts, or swap agreements. It invests primarily in investment-grade debt securities but may invest up to 20% of its total assets in high yield securities. It may invest up to 30% of its total assets in securities denominated in foreign currencies and may invest beyond this limit in U.S. dollar-denominated securities of foreign issuers. PTTRX expense ratio 0.47%, while its minimum initial investment requirement is $25,000. 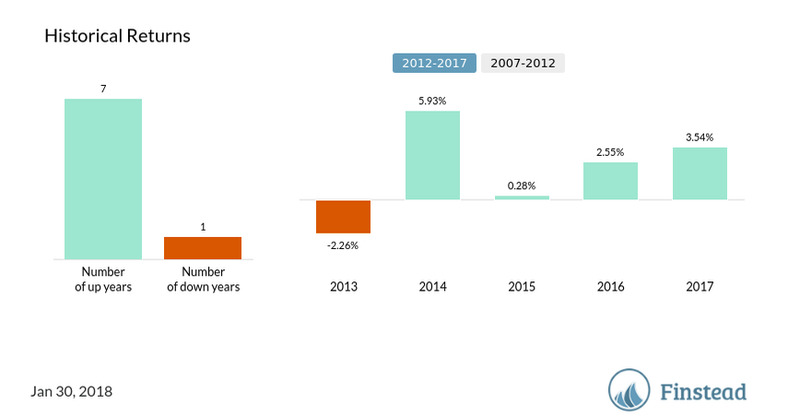 5-year annualized return is 2.14%. 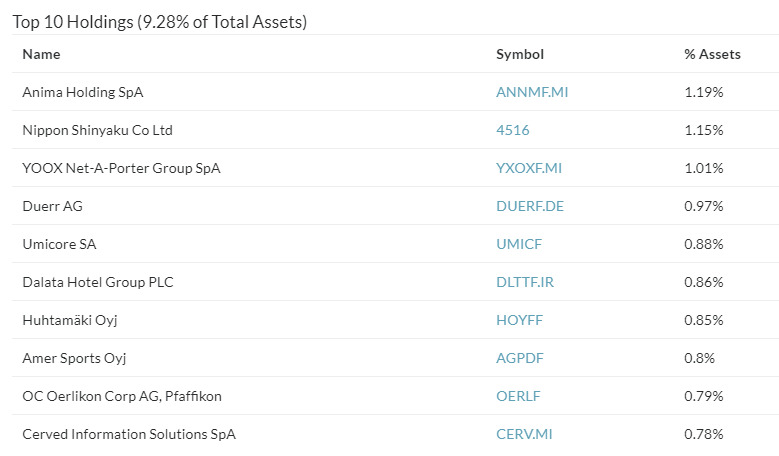 The top holding of PTTRX is US 5 Year Note (CBT), with 5.56% weight in the portfolio. Dodge & *** Income Fund (DODIX) is a bond fund that seeks a high and stable rate of current income. The fund invests in a diversified portfolio of bonds and other debt securities. 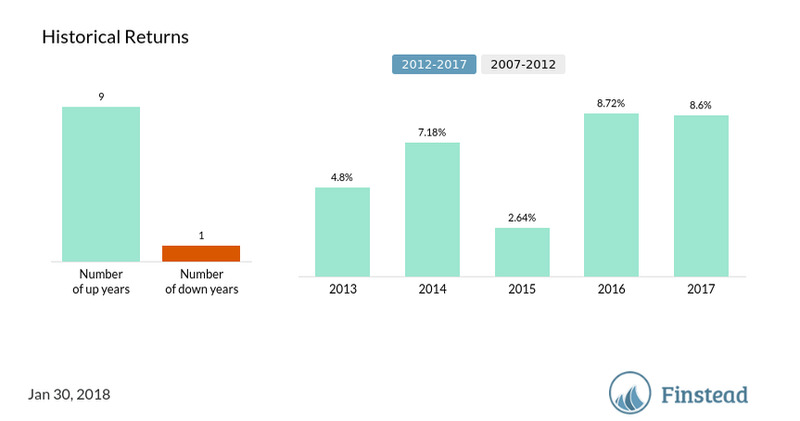 Under normal circumstances, the fund will invest at least 80% of its total assets in (1) investment-grade debt securities and (2) cash equivalents. ‘Investment grade’ means securities rated Baa3 or higher by Moody's Investors Service, or BBB- or higher by Standard & Poor's. 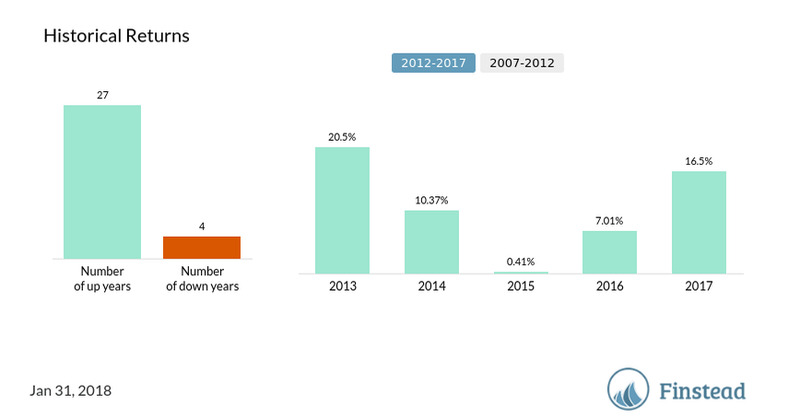 DODIX expense ratio is 0.43%, and its minimum investment requirement is $2,500. 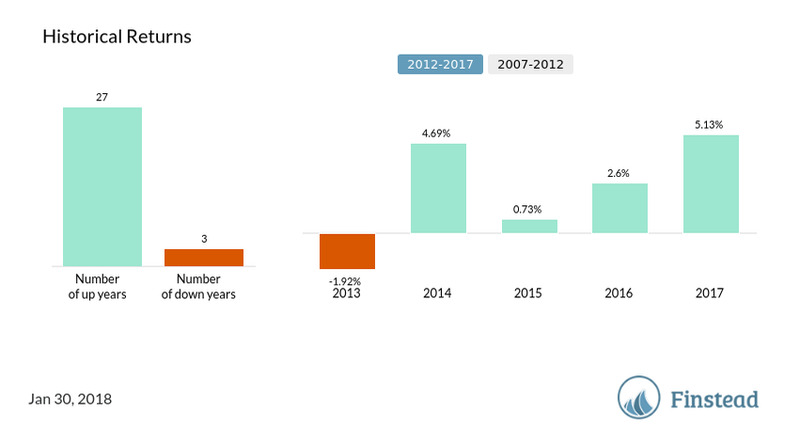 5-year annualized return is 3.02%. Below is the historical view of DODIX performance. 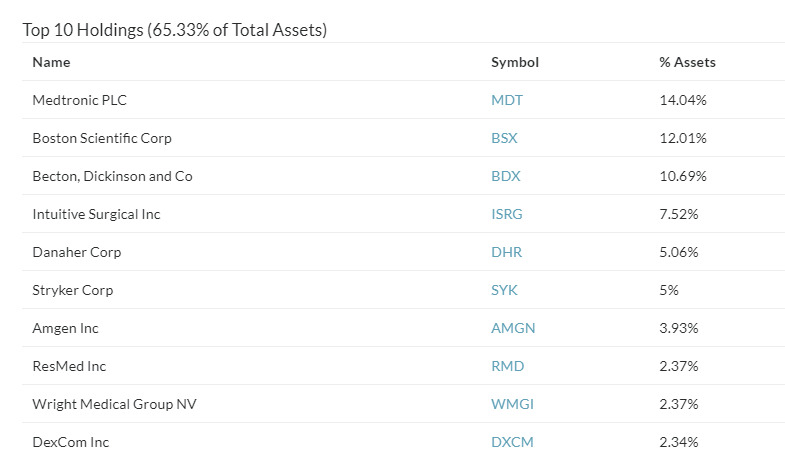 DODIX top holdings is US Treasury Note 1.125% (0.9% of its portfolio). DoubleLine Total Return Bond Fund Class I (DBLTX) invests at least 80% of its net assets in bonds, including debt securities and other fixed-income instruments issued by various governmental or private-sector entities. DBLTX falls in the intermediate-term bond category. Intermediate-term bonds are those with maturities in the three- to 10-year range. This fund focuses heavily on bonds that are backed by mortgages which can enhance return, but also increase risk. 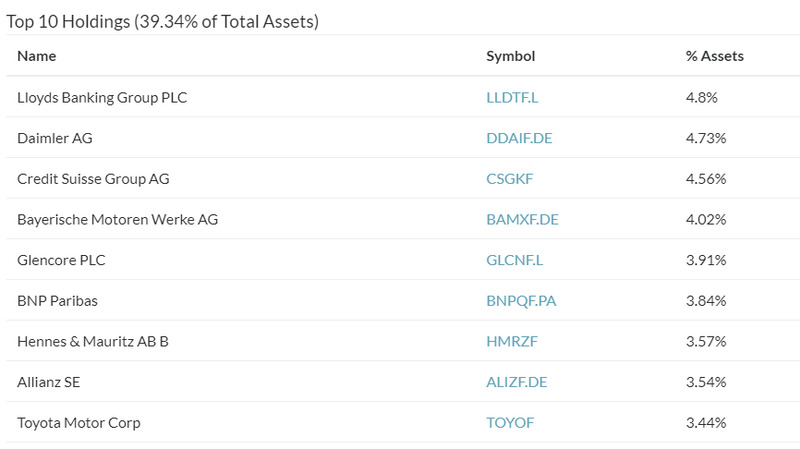 The top holding of DBLTX is US Treasury Note 1.625%. DBLTX expense ratio is 0.47%, and its minimum investment requirement is $100,000. 5-year annualized return is 2.98%. Below is the historical view of DBLTX performance. PIMCO Income Fund Institutional Class (PIMIX) is a bond fund that seeks to maximize current income. PIMIX typically invests minimum 65% of its total assets in a multi-sector portfolio of fixed income instruments of varying maturities. The Fund will generally allocate its assets among several investment sectors. PIMIX holdings are U.S. government obligations, foreign bonds, and high-yield domestic debt securities. The duration of holdings is between zero and eight years. DODIX expense ratio is 0.45%, and its minimum investment requirement is $25,000. 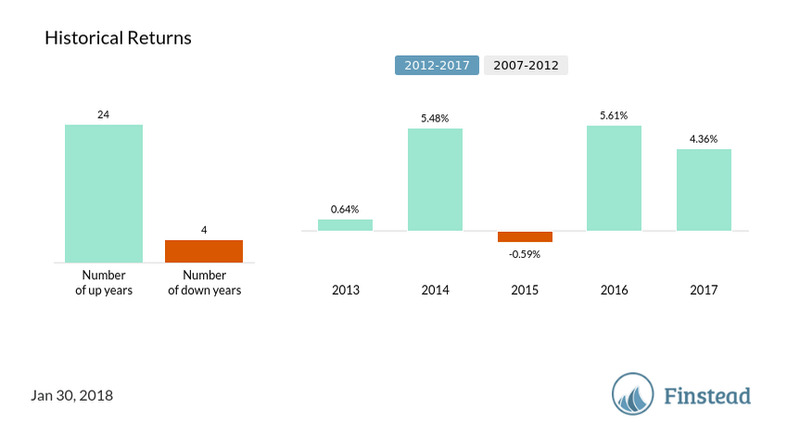 5-year annualized return is 6.36%. Now that we examined the top choices for taxable income funds, let’s take a look at our top choices for tax-exempt mutual funds. Vanguard Intermediate-Term Tax-Exempt Fund Admiral Shares (VWIUX) invests in municipal debt issues with average maturities of 7 to 12 years. VWIUX expense ratio is 0.09%, and its minimum investment is $50K. 5-year annualized return is 2.68%. Vanguard Limited-Term Tax-Exempt Fund Admiral Shares (VMLUX) seeks to provide investors with a high level of current income exempt from Federal income taxes primarily through investment in high-quality municipal securities with an average maturity of 2 to 5 years. VMLUX expense ratio is 0.09%, and the minimum investment is $50K. 5-year annualized return is 1.18%. Vanguard Short-Term Tax-Exempt Fund Class Admiral (VWSUX) provides investors with a high level of current income exempt from Federal income taxes primarily through investment in high-quality municipal securities, with a maturity of 1 to 2 years. VWSUX expense ratio is 0.09%, and the minimum investment is $50K. 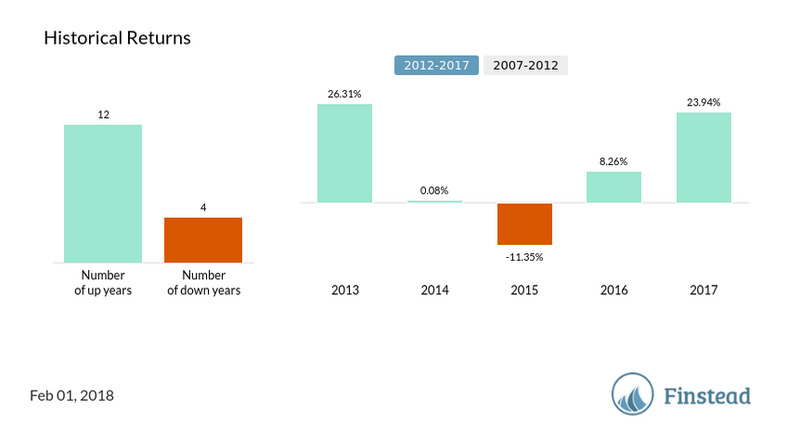 5-year annualized return is 0.67%. We reviewed our choices of equity and fixed income funds, so now is the time to look at some good options for balanced funds (which contain both equity and fixed income allocations). Balanced (or hybrid) funds earn the "balanced" moniker by keeping the balance between the two asset classes pretty steady, usually placing about 60% of their assets in equity and 40% in fixed income. Many balanced funds hold larger stock positions. We’ll take a closer look at three options for aggressive balanced funds, holding 50%-70% of their assets in stocks. Vanguard Wellington Fund Admirals Shares (VWENX) seeks conservation of principal, reasonable income and capital appreciation without undue risk, by investing 60% to 70% of its assets in common stocks and 30% to 40% in bonds. VWENX expense ratio is 0.16%, while its minimum investment amount is $50K. 5-year annualized return is 10.84%. T. Rowe Price Capital Appreciation Fund (PRWCX) seeks long-term capital appreciation by investing primarily in the common stocks of established U.S. companies. Common stocks typically constitute at least half of total assets. The remaining assets are invested in other securities, including convertible securities, corporate and government debt. PRWCX expense ratio is 0.16%; there is no minimum investment requirement. 5-year annualized return is 12.59%. 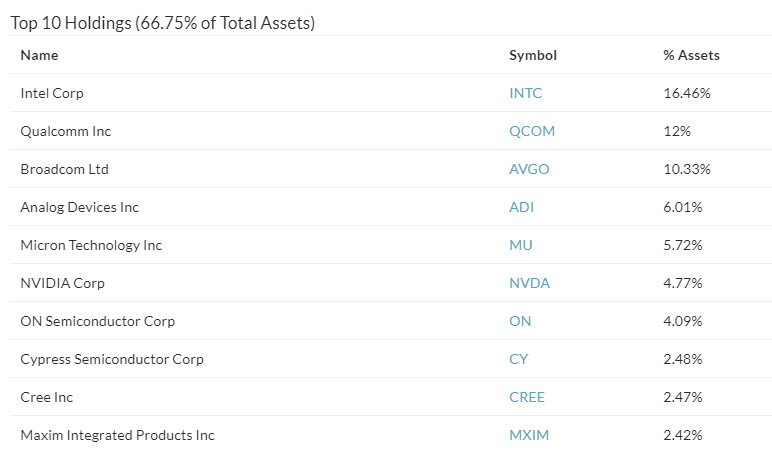 The top 10 holdings of PRWCX are depicted below. Fidelity Balanced Fund (FBALX) seeks income and capital growth by investing 60% of its assets in stocks and other equity securities and the remainder in bonds and other debt securities, including lower-quality debt securities, when its outlook is neutral. It invests at least 25% in fixed-income senior securities. This is an active fund. FBALX expense ratio is 0.55%; its minimum investment requirement is $2,500. 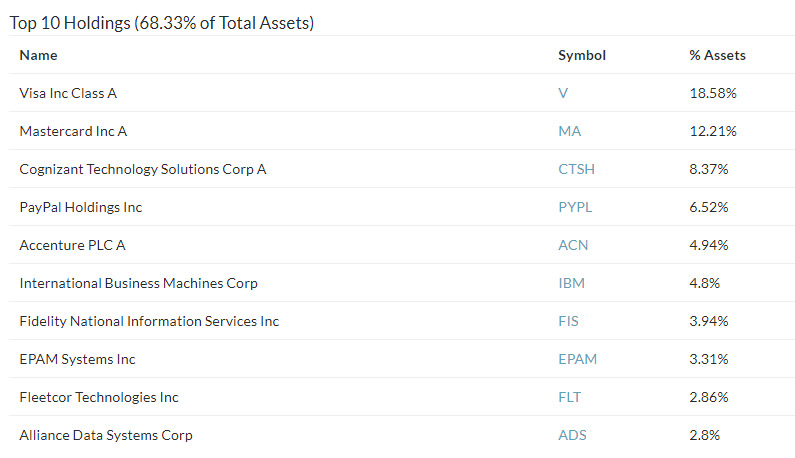 The top holdings of FBALX are depicted below. 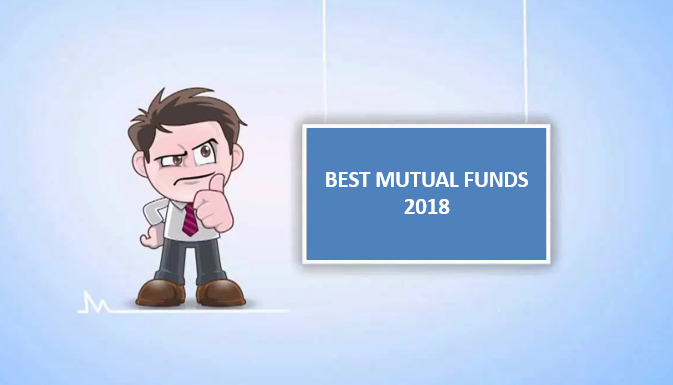 We hope you found our choice of the top mutual funds for 2018 informative and helpful. Note that these funds are suggested to you because of their total asset value or relatively high (risk- and cost-adjusted) performance compared to the peer group. And remember there is no guarantee that these funds will continue to perform well in the future. May 2018 update: Many of you have reached out and asked whether we can post our presentation. We listened to you--and did exactly what you asked for. Here are the slides.